My first day in Atlanta and I see this Karma Revero! This is the 6th Revero on this site! Saw this beauty at the St Regis is Buckhead, Georgia. Karma is a wanna-be Tesla company that makes 4 door electric sports cars. 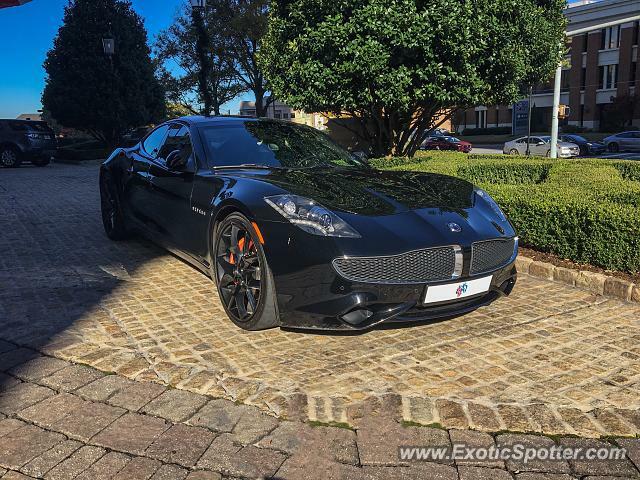 1000 Fisker Karmas were made but less than 100 Karma Reveros have been made so far. Sorry guys but what on earth is a Fisker Karma?